Price just reduced $20k! 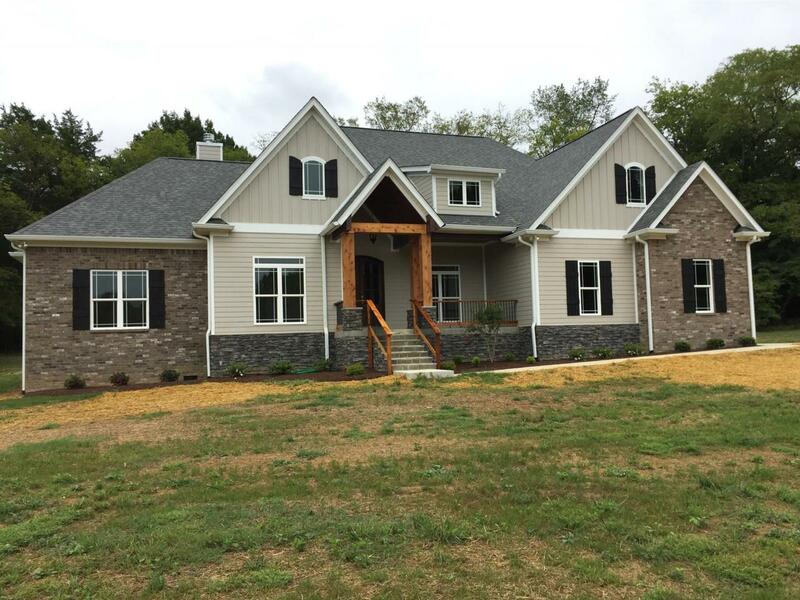 New gorgeous secluded craftsman home on 3 acres surrounded by woods w/580' wooded drive. 4 bedrooms downstairs + huge bonus or 5th bedroom w/full bath up. Numerous upgrades;10' ceilings, Trane Dual-fuel HVAC, custom trim pkg, granite tops, hardwood floors, massive stone fireplace & appliances w/convection double oven.